As it was time to take another game "Off The Charts", we packed an overnight bag and with games in tow we headed to the coast. 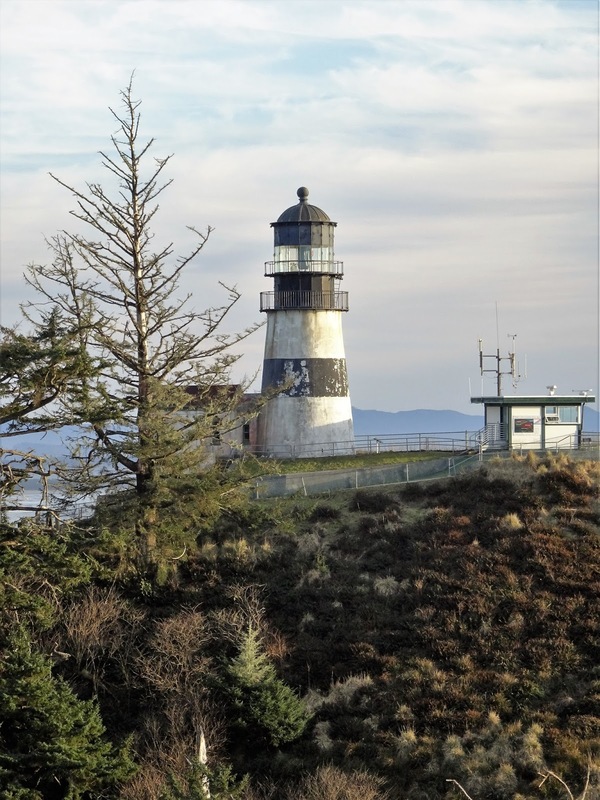 The day was gorgeous 64˚with blue skies and only a slight breeze - a much needed break in the icy weather we've had this winter. 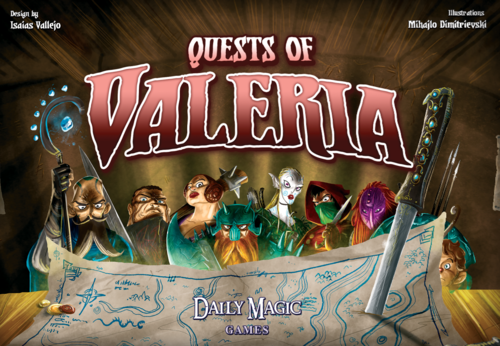 Quests Of Valeria is the 3rd game in the Valeria Kingdom. 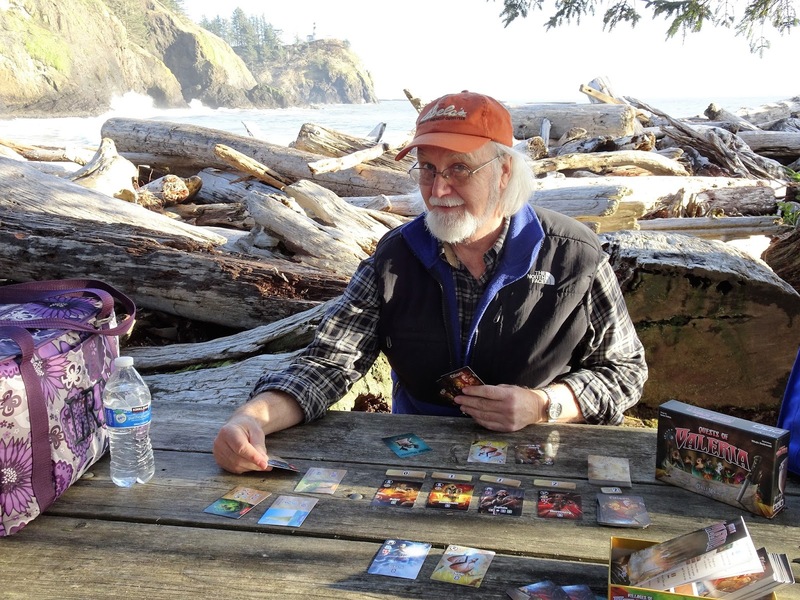 We took our demo copy on our own quest to Cape Disappointment State Park. Cape Disappointment was anything but a disappointment. 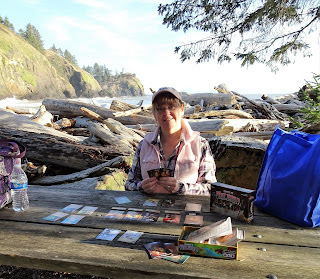 We found Waikiki Beach within Cape Disappointment a scenic spot for a picnic and a game of Quests Of Valeria. Some of my favorite Quests were Flush Out the Goblins Den, Vandalize The Orb of Urdr, Raise the Dragon Hatchling, and Bribe the Amarynth Nobles. For players familiar with Valeria Card Kingdoms and/or Villages Of Valeria, the characters and icons will be familiar. As with the other two, the game play is different. Each is a separate stand-alone game. Quests Of Valeria will be available soon. You can always come in and try out our open copy.